Are Stephen Bear and Ferne McCann joining Celebs Go Dating? 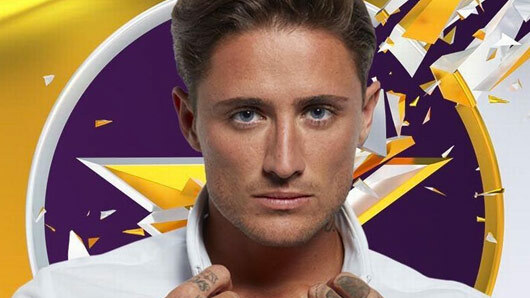 Stephen Bear and Ferne McCann have signed up to appear in the new series of E4’s Celebs Go Dating, according to the Daily Star. The celebrity dating show, in which celebrities attempt dating regular people, was a huge hit when it first aired last year, starring big names such as Joey Essex and Stephanie Pratt. Unfortunately, Joey and Steph quite forgot the point of the series and began dating each other before the show’s end. Hopefully, there’ll be none of that this time! A source told the Daily Star: “Signing both Ferne and Bear is a massive scoop for the show. “They are huge characters with massive personalities and know how to play the game. Producers were desperate to sign them up as they’ve already proved a huge hit with fans on previous shows. “Ferne has kept her romances under wraps since she left TOWIE so TV execs are hoping for her to open up on camera. Both Ferne and Bear are reality television veterans, with the former appearing on The Only Way Is Essex and I’m A Celebrity… Get Me Out Of Here! and the latter appearing on Ex on the Beach and winning the most recent Celebrity Big Brother. One thing for sure is hiring Ferne and Bear will certainly lead to some fireworks! And we’d love the chance for regular people to get a chance to throw a drink at Bear in response to his philandering ways. Celebs Go Dating series two starts filming in early 2017.